Somewhere between a crushing ride and a recovery ride is a “conversation” ride. This ride, while solo, mirrors what a group ride feels like. 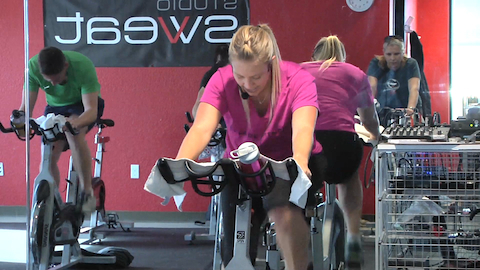 This incredible 45 minute Spinning class has short, hard bursts of speed and power, offset by a smooth downhill transition where riders discuss life. Throw in two maximum power climbs and you have a perfect blend. Let’s ride. Really well thought out ride that Mike. A chance to focus on what you are doing and tune into your body over those long stretches, perfecting your form at the the same time. Fantastic choice of music for an opportunity to reflect. Enjoyed that very much. It really pushed me but I felt calm throughout, a nice contrast to the usual fast pace crazy jumping up and down type classes. Cheers mate! This was the BEST morning weekend ride EVER! Super enjoyed the calm and Mike is always a fave of mine! Thank YOU MIKE!!!! First time doing this ride but definitely not the last! Thanks Mike! It was fabulous! Perfect ride when having a cold but still want to workout. Thanks Mike. Perfect workout for a Sunday ride. Love the speed, rhythm and the MUSIC! Especially the cool down song. Just returned from Australia and this was the perfect class for my jet-lag recovery. Mike has a way of getting me into my dripping sweat without any body discomfort. He is turning out to be my favorite trainer. I love your style Mike. No yelling. Not a ton of talking. Easy to get into a workout “zone” and calming, resulting in a great workout each time. You are the best Mike. Thanks so much for being you! Keep up the great work. +1 Nancy – couldn’t have said it better myself! Thanks Mike! Great ride with a great soundtrack. Enjoyable ride. Flexibility to get what you want to get out of this workout. Thanks Mike! Love the music !!! What a kick in the head and for sure I’m going for the juggler, Mike is so informative on each and every ride, making us all better riders, Thanks Mike. “HW2019” #7 Brilliant and fun ride! Hell week was a Good challenge and motivator. Thanks!!! Love this class!! The music was perfect from Yes to Dean Martin!!! I love your stories and jokes!! I’m crazy about the 1-2 1-2-3 part!! Drive 25 2018 #14!!! Fantastic ride! Robert Plant, Steely Dan and Yes! What a fabulous playlist!!! Thanks Mike!!! Love riding with the master!! Classic Mike – great music, good ride tips & instruction, a few word-play jokes and some life tips! The Jean-Luc Ponty song was close to trying to ride to Coltrane’s Giant Steps omg. SFL2018-#6 I always enjoy a Mike ride. His technique is so so subtle and so effective. More of a sweat 😓 than I anticipated based on the other comments. None the less a great ride 🚴‍♀️ To get my day going. Ride on! Thanks. MM2018 Great ride, great music, great food for thought. Loved the snow ride story! Thank you! MM2018 #25 Recovery day for me, so a ride with Master Mike was the right choice. Thanks for you company! MM2018 #10. Great ride for a day I really didn’t want to work, but knew I needed to. Love spending time learning from Mike! SSNY2018! Great way to start my Wednesday – thank you, Mike!! Hell Week! Second of my double day…5/6. This is definitely one of my favs! Love the Jean-Luc. I loved this class! Great ride and even better music! MMC2017 #2 I always think, Mike has such a nice pace to his classes. I fool myself into thinking it’s going to be an easy class. Ha! It’s never easy! Mike makes you work! Thank you Mike! Drive to 25. Somehow I burn a lot of cals on Mike’s “fun” rides! Thanks Mike! “Drive to 25” – # 82..Hey Mike..what a great sus ride this is..loved the cadence and gear changes and the proper use of form..and finally..your stories Mike..they’re an integral part of a Mike Class..and something I always look forward to..thanks again.Master!! Drive to 25. Thanks mike that was class 14 done. Mike! Loved this again! Great ride!!! What a great change of pace. I always enjoy Mike’s classes. He breaks it down to the basics and has the best pearls of wisdom. Thanks Mike! Enjoyed the ride. I am going to convince ny husband to try it tonight. I know he’ll like it too. Mike, I vacillated 😉 on my enjoyment of the music, but then ultimately realized it was ideal for the ride. JK, loved all the music, and that I just got to use that word. I visualized myself going up that cold mountain in Oregon. Love all the stories. Please do many more of these. Also, liked the teaching point about “I statements”. Starting with I keeps people from feeling on the defensive. Kind and thoughtful way to interact. I’m a beginner in spinning and this class was hard for me but great on the other side. I loved the music. Awesome. I am not sure how you can sweat thru Sinatra but I did. Love it, relaxing but at the same time a great workout! Loved this workout, especially the 1,2-1,2,3 section. As a beginner the straight up and spin is perfect to work on technique. Mike your a great teacher, love your music selections. lol… loved the joke…and the ride! Zen Master, as always, done with great music and great effort, followed by working recovery, followed by sustained effort. No audience participants to distract. (Although I do find humor when a class hits the wall and the instructor keeps on barking). What else does anybody want in a ride? Nothing. This is perfect. Thanks again. you rock Mike. This is my new go to favorite! Awesome playlist as always. so unique. thank you! Thanks Mike for another great ride! Might be the first time I ever worked out to Dean Martin! Love it! Great ride, not spin but ride! Great use tempo too! Great ride with you Mike and I love the clown joke! Thanks Mike, can feel your beautiful soul in this ride- must admit at first I was not sure if I could do it- music was not my usual pick- glad I stuck through. Gratitude. Great ride, sat in my fat burning zone and loved the eccelectic mix of music. Yes you are so right between action and reaction there is space. Master Mike – you never disappoint. This ride was perfect for me today … thank you!! I absolutely LOVE your one on one rides! Thank you, Mike! Jean-Luc Ponty, wha?? We must be brothers and I didn’t realize it. The tunes were so good! How about doing a grooving blues ride? Some Vintage Trouble, Tommy Castro… You’re the best Mike. You help make us better people. Excellent class, mike! Music was spot on … loved steely Dan track! Thanks Mike. Enjoyed the workout. FFS- week 2, workout 5. Great ride for Friday! fFS hey Mike I liked the joke. Thanks for a good ride. Very nice ride Mike. I’m on the tail end of a cold and this was just right – not too much – not too little. Excellent music as always. Took a 4 week break… holidays etc..
Got be back on track! Oh Mike, how do I love this ride? Let me count the ways: the music was eclectic and motivating, the intensity was perfect, and I must be needing to hear that lesson at the end because it is the second time this week the same idea has come up. I’m pretty sure the universe is trying to tell me something and it’s time to pay attention. As always, a pleasure and a joy to spend 45 minutes spinning with you. Thank you! Thanks Mike. Great ride, nice steady sweat! Appreciate the conversation too! FFS #1-Week 2…..Back among the living again! Was down for about 3-4 days with a nasty stomach bug. But I think I sweated out the last of the evil germs on this ride. Always, Always good riding with you Mike. This is my new one in my favorites. Thanks again…. BTW….love the clown joke at the end. If I were still teaching elementary PE, I would have used that with my kids. Instant fave Mike! Right in my (60 on St Pats) wheelhouse. I can take it easy, or work harder for more challenge. BTW, great music mix also. What a great 42 min ride. Started me week off on a most excellent foot! Thanks , enjoyed the music. Great ride Mike! So glad I got on the bike today. Drenched and had a great workout. Thanks for the words of wisdom. I think we can all use them to open our eyes to our own behavior. Hey Mike..great to have another class of expert guidance regarding cadence and gear changes..love these rides and like to do them from time to time..look forward to many more..thanks again & take care!! Love your stories and insight . Smoooooth burn with a few perfectly timed bursts of intensity, nice. Cat is my motivator, AJ is my musician, and Mike is my muse! Perfect! Enjoyed the variety of music. Coming back after having to take a week off and usually do Cat’s great recovery ride, but have done it so many times that it was nice to have another option. This allowed me to work harder than a recovery ride without overdoing it. FFS #2! I love how every class Mike makes it personal! Thank you! Thank you Master Mike for giving us SSoDers an awesome sweaty ride coupled with your humor and wisdom on a one on one format – awesome!! I just loved this ride! I wasn’t even in the mood, then the ride started and it was so quiet and peaceful, the music was just perfect! I was able to sweat it out and still kinda think my own thoughts a bit, plan my day out, Thanks so much!!!!! Today just became amazing! As always wonderful class. I love your music and the wisdom you leave at the end of your classes. Thank you. 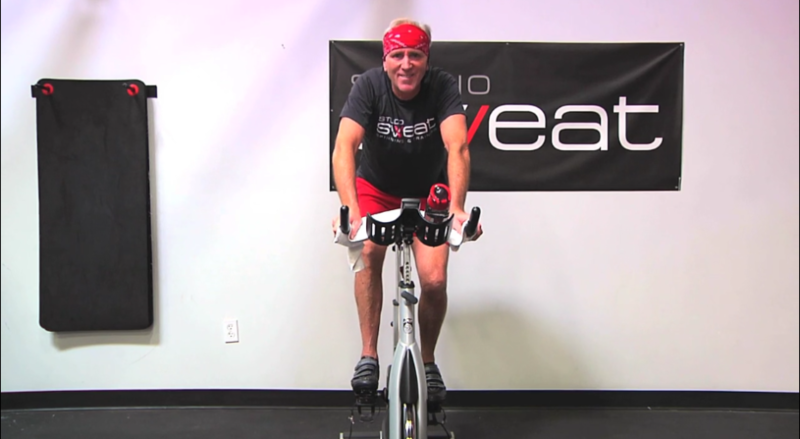 Master Mike delivers an exceptional sweatfest in his calm, steady, humorous way – fantastic ride with an exceptional coach! Thank you Mike! Happy Birthday to me!!! A brand new Master Mike Spin sent to me as a perfect gift for my 29th (again) birthday!!! Great ride! I loved it. Loved the music! I need to download that Yes! song and Jean Ponte (hopefully I can find him digitally) I thoroughly enjoyed that ride! You’re the BEST!!! Mike, Thank you again!!! I’ve enjoyed this ride more than once so far! I really like your comments about the difference between accusing and asking. Its been food for thought all week. Thanks!!! Straight to favorites, Master Mike! I love that I can be completely present in these one-on-one classes. No distractions allow me to focus on my pedal stroke and breathing. Even though I rarely ride outside, you make me feel like I’m a cyclist! FFS #5 perfect ride to round off my week, thanks Mike! That was very calming, if that makes sense for a spin class, lol. I loved it and worked up a major sweat!! Thanks Mike!! Thanks for the great ride! Quick to hear, slow to speak, slow to anger..Great truth in that. Thanks Mike – quite the wide variety of tunes! Good workout… good ideas to work on too! Just what I needed today. Another magical music mix from the amazing Mike! Great ride. Get ready for a sweat session that totally flies by. Intervals, hills, and a combo of both will drive you through this killer Spinning workout, where your heart rate will be climbing with every switchback and sprint. This ride’s masterful trainer, Mimi, said, “I’m so excited to have you ride with me for an hour! All you have to do is ride to the rhythm. It’s all about the music on this one!”. Get your beat on. It might be short and sweet, but oh is it killer. A solid 28 minutes on the bike where somehow we manage to hit 3, yes 3, monster hills. You reach a breathless state before then digging deep to give a little more. You go through your breaking point. Your mantra for the hills is “I can, I can, I can.”, and guess what… YOU WILL! A few quick sprints then, WOW, you’re done and left with a big puddle of sweat. Do NOT get off your bike! I repeat…Do NOT get off you bike! You asked for it and we’re giving it to you! A full hour on the bike. You’ll be drippin’ with sweat before you know it and burning tons of calories! Climb, race, endure! Enjoy the ride!